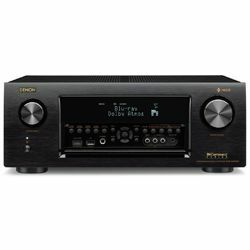 Onkyo TX-RZ830 vs Onkyo TX-RZ810 is the test for finding out the reasons to pay much more for the unit 830 and the techs that confirm the rationality of choosing more affordable model 810. 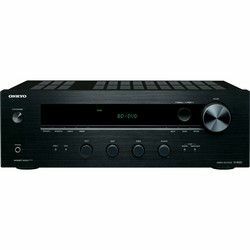 Both receivers are Onkyo’s top line for AV-devices. Onkyo TX-RZ830 vs TX-RZ810 is the comparison of the high-end model RZ830 and a mid-tier AV RZ810. Despite its not quite elite status, RZ810 demonstrates the excellent work with its premium 32-bit/384kHz digital-to-analog converter. It gives a great power without any distortion. 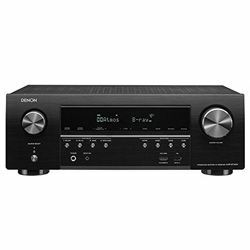 However, 9-channel Onkyo TX-RZ830 have 11.2 multi channel pre-outs and support Dolby Atmos and DTS:X even with a 7.2.4-channel outboard stereo amp. 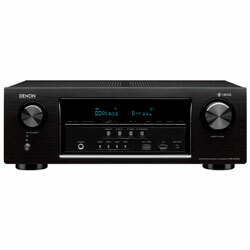 Both receivers produce the extraordinary sound that is clear and full either. The bass booms and the subs thumb to the extent of the requirements. TX-RZ810’s 900W versus TX-RZ830’s 980W is not so impressive but more than enough for the medium rooms. While examining Onkyo TX-RZ810 vs Onkyo TX-RZ830, more HDMI inputs were found at RZ810. 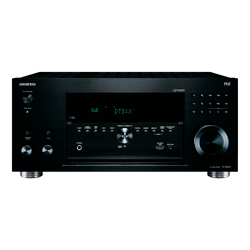 Onkyo TX-RZ830 offers much more AV inputs for connecting more video sources. RZ810 has a very functional remote, but it easier to set up the zone control via the smartphone app. RZ830 has a phono preamp that minimizes the noise while turntable sound reproduction. 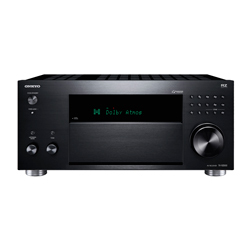 It is difficult to compare Onkyo TX-RZ810 vs TX-RZ830 as regards their design. Both devices are big and heavy. Their front panels are aluminum with no plastic to be found. The legs look awesome; they were specifically designed for this series. Lots of connectivity is on the rear panel of the AVs. TX-RZ830 is available either in black or in silver. Voice control of the playback via Google Assistant. Adapts audio to existing channels without specific speaker layout. Amazon Music is available via Onkyo Controller only but not via the app as other services. No 220V units that are an issue for international users. Simple configuration while 5.1.2 set up with the front speakers. Fast streaming Pandora and other services through Ethernet. The high quality of playing music from iPhone due to the Apple AirPlay tech. AirPlay and Chromecast take up to 3 minutes to connect. The door wouldn’t flip down so loudly revealing ports and additional controls.